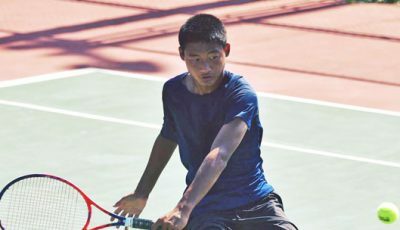 Tennis’ Robbie Schorr got the well-deserved Northern Marianas Sports Association/Tan Siu Lin Foundation Male Athlete of the Month (for July) award after his title conquest in the 2018 Pacific Oceania Junior Championships. Schorr bagged the boys U16 singles crown in last month’s POJC held in Fiji, stunning opponents that handed him several losses in previous competitions. The Saipan International School student pulled off an upset over No. 2 seed Clement Mainguy of Vanuatu in the semis, 7-6 (5), 6-0, and then swept No. 1 Jeremy Guines of Tahiti in the finals, 6-4, 6-3. 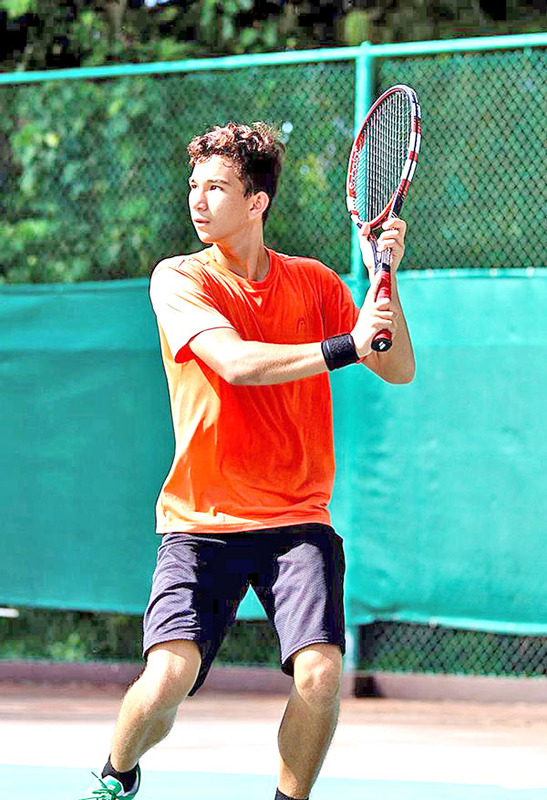 Though he is still savoring the sweet taste of his success in POJC, Schorr is back to work as he remains in Fiji to train in the regional facility and compete in an ITF Juniors Tournament. “I was proud with my victory. 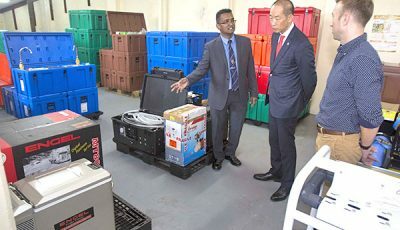 It was hard to beat the two guys that I knew were going to be a really challenge,” Schorr told Saipan Tribune yesterday. “I had to stay really focused in order to win both matches and I had confidence as well and that really helped me,” he added. On top of winning his singles event, Schorr got a perfect record in the division, prevailing in all five matches. He had a 10-0 sets win/loss mark for a 100 percent average and registered 61-14 win/loss game record for a field-best 81.3 percent. In the doubles, he and Ken Song made it all the way to the semifinals after shutting down Samoa’s Phillip Warren and Guam’s Marshall Zang. “His performance was astounding. He’s been training in Fiji since May, twice a day, six times a week and all his hard work paid off,” said CNMI Junior National Team head coach Jeff Race during the selection of the July awardees last night at the NMSA meeting. Meanwhile, Schorr will be playing in the Oceania Closed Junior Championships 2018 in Fiji starting on Tuesday. 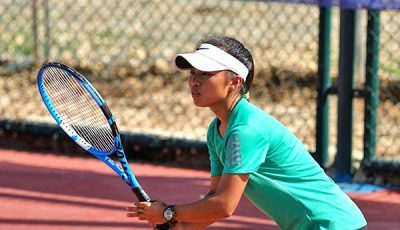 Siblings Sean and Carol Lee, Conatsu Kaga and Ken Song are the other CNMI players who will compete in the B2 event under the ITF Juniors Circuit.